Wi-Fi security cameras are becoming more of a fixture in smart homes thanks to integrations with Amazon Alexa, SmartThings, and even IFTTT. 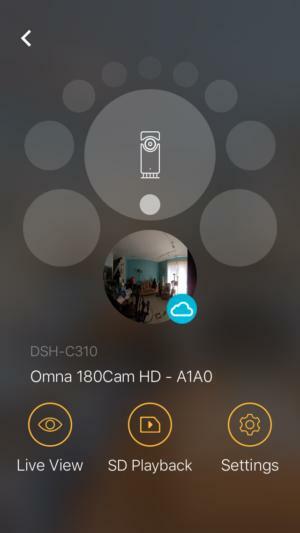 But D-Link’s Omna 180 Cam HD ($150) is the first camera certified to work with Apple’s HomeKit platform. That makes this camera a slam-dunk purchase for some users, but a more difficult sell for others. Given its alliance with Apple, it’s not surprising the Omna is long on looks. Its silver body recalls the anodized aluminum finish of many Apple products, and its sleek, cylindrical form evokes that company’s attention to design. That it’s too big to hide in plain sight probably won’t bother you because this camera has enough style to blend seamlessly with most modern decor. The “180” in the name denotes the camera’s 180-degree wide-angle lens, which captures video in full HD (1080p) resolution. It features motion detection with alerts, two-way communication, and night vision. All recorded video is saved locally to a microSD card—up to 128GB, not included—that slots in on the bottom of the camera. That means you don’t have to worry about the security of storing video clips on a cloud server, but also that an intruder could cover their tracks by just taking the card or your camera. The HomeKit-enabled Omna's silver finish evokes many Apple products. The Omna supports both iOS and Android platforms, but given that its unique selling point is its HomeKit integration, I used the latter. The HomeKit capability greatly simplifies its setup. There are no stubborn QR codes to scan or passwords to enter. There’s not even a registration requirement if you have an Apple Home Hub set up, such as an Apple TV or a Lutron Caseta Wireless Smart Bridge Pro if you don’t, though, you’ll need to create an Omna account to view the camera’s feed remotely). I just had to select “Add Accessory” in the app. Within seconds it recognized the camera and prompted me to scan the HomeKit code and assign the Omna to a room. Once the process was completed, the Omna was added both to the Omna app and the Apple Home app, where it shows up as two separate accessories—the camera and the motion sensor. There are no hinges on the Omna to pan or tilt the camera for different viewing angles, but it doesn’t need any. The 180-degree field-of-view was enough to take in the entirety of my living room without me fussing with its positioning at all. The image was exceptionally sharp with even lighting and rich, accurate colors. There was slight bit of bending at the sides of the frame but that’s to be expected with such a wide-angle lens. The Omna appears in Apple's Home app as two separate accessories—the camera and the motion sensor. 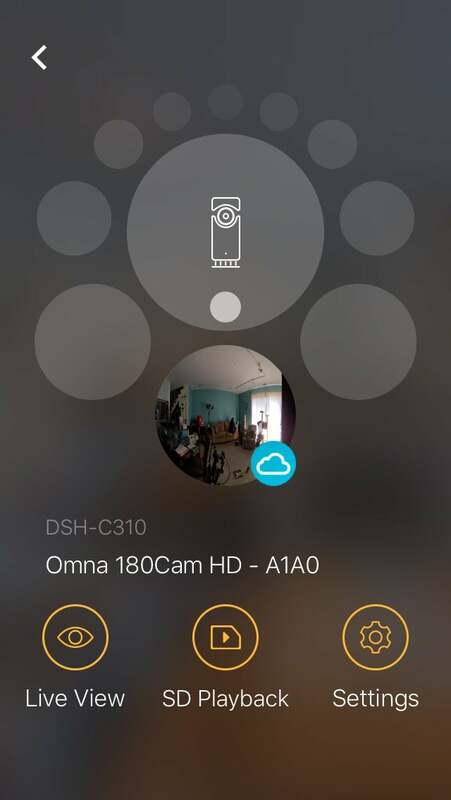 Although you can access the camera’s live feed from either the Apple Home app or the Omna companion app, you can only view recorded video and access the camera’s controls and settings through the latter. 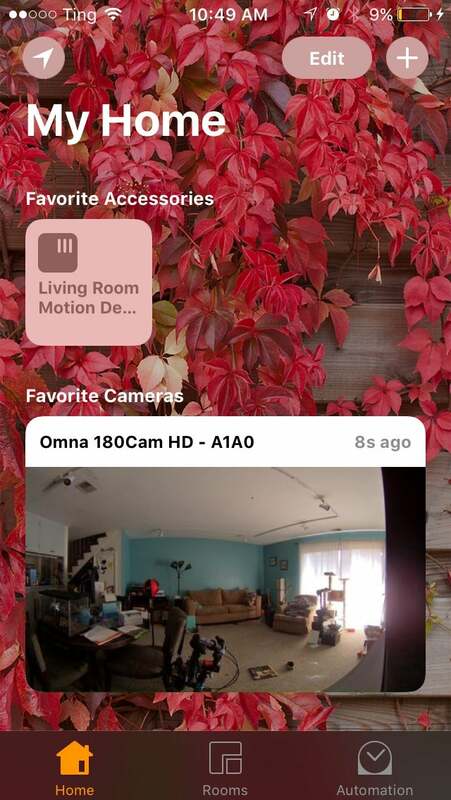 The Omna app displays all your active Omna cameras on its home screen. Tapping on a camera’s image takes you to its feed and controls for the camera’s mic and speaker, on-demand video recording, and taking screenshots. Tapping an up-arrow on the home screen opens a radial display of all your connected HomeKit appliances, including the Omna. When the camera is selected, it displays buttons for accessing recorded video clips on the microSD card, opening the camera’s settings, or returning to the live feed. Even set to 90-percent sensitivity, motion detection was very responsive to living bodies, less so to things like fans and moving curtains--and that’s a good thing. If you find you’re getting too many false alerts, you can lower the detection sensitivity or limit detection to designated zones using the app settings. You can also set the motion trigger to delay from 30 seconds to five minutes or turn off motion detection altogether. The app catalogs all event-triggered video in a chronological timeline. When you access it, you’re prompted to choose a date and the app displays only that day's videos. You can download videos directly to your phone or alternately to your PC using a card reader. The Omna companion app is elegantly designed and easy to use. The Omna’s HomeKit integration worked flawlessly when I tested it using a couple of common scenarios. I was able to pull up the live feed using voice commands just by saying “Siri, show me the living room,” and get security reports by asking Siri for the status of the motion detector. I also set up an automation to have some Phillips Hue lights turn on whenever the Omna detected motion, and it worked consistently. 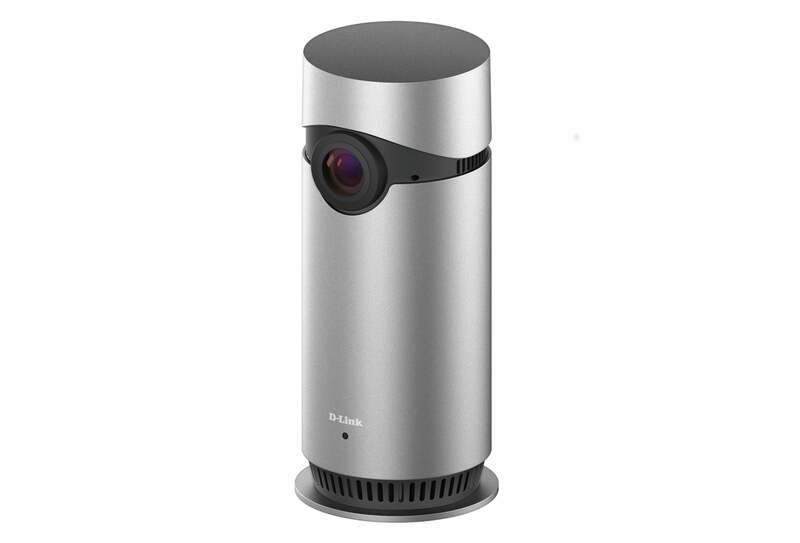 D-Link’s Omna is a solid security camera. 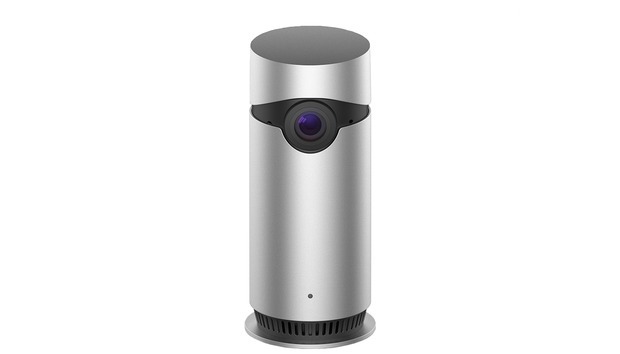 The image quality is great, motion detection is reliable with plenty of customization for adapting it to different situations, and the Omna companion app is elegant and easy to use. If you’re just looking for a dependable DIY security solution, it’s an excellent option. If smart home integration is a priority for you, then the decision to buy the Omna really hinges on how much you’ve already invested in Apple’s HomeKit system. Though the list of HomeKit accessories continues to grow, it still doesn’t feature as many brands or products as some other home automation services. That doesn’t matter much if you’re already all-in on HomeKit; you’ll likely be very happy with the Omna. But if you’re just staring to smarten your home and want to experiment with a lot of different appliances, there are many more flexible options in our home security camera guide that you should check out first. Note: This review is part of our best home security cameras roundup. Go there for details about competing products and how we tested them.